Epoxy and polyester powder coatings baked on to prepared metalwork to provide a hard wearing decorative finish. We offer effective coatings solutions for a wide range of applications, including furniture, automotive, IT, appliance, the architectural market and general industry. Range of colours available from stock. 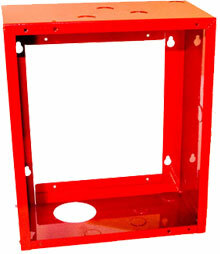 Powder coatings are used when a hard finish which is tougher than conventional paint is required. Basically anything capable of holding a small electrical charge can have powder applied to it. It is usually used for coating metals, however, newer technologies allow other materials such as MDF and even glass and ceramics to be coated using different coating methods. Powder application is very simple. The powder is applied to an object using an electrostatic gun. Compressed air pushes the powder out of the gun, past an electrode which gives the powder a positive charge. 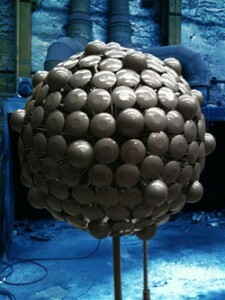 The object being coated is grounded so the positive powder particles are attracted to it. When the object is completely covered, the ground is removed and the object is put into the oven to be baked. While in the oven, the powder goes through a chemical change where it becomes free flowing and forms a ‘skin’ around the object. After cooling, the powder is ‘set’ and forms a hard finish. Powder can be applied to items kept inside; including washing machines and lighting and also to exterior items including architecture and fencing. Powders are capable of withstanding extreme environments, thanks to our intensive testing procedures. The levels of powder durability are dependant on the mix of ingredients used.